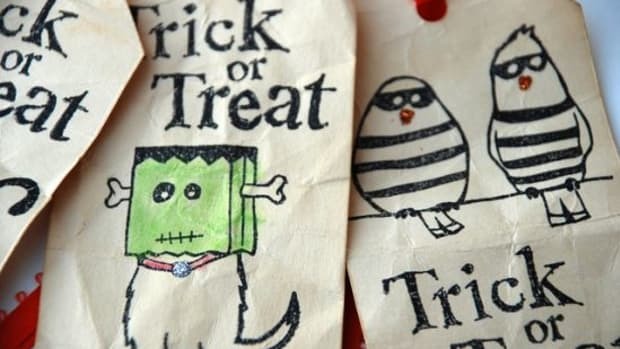 With all the spook and scare surrounding Halloween, the last thing you need is children running away from your doorstep having realized healthy Halloween candy (aka apples) are being offered. 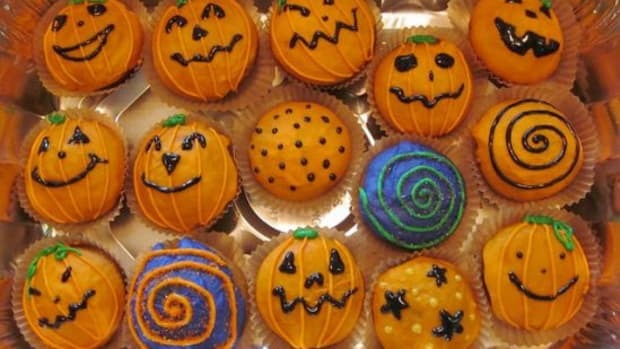 There are far more creative ways to excite children and satisfy their sweet tooth this Halloween whilst keeping their well-being in mind. 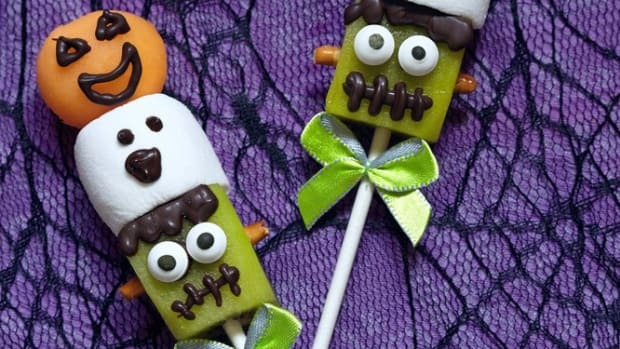 Here are three kid-friendly vegan Halloween candy recipes that even you will adore. In a saucepan, bring the sugar, agave, butter and vanilla to a light boil. Reduce heat to a simmer and let it cook for a few minutes, while you continuously stir. Remove from the heat. Set aside. In a medium bowl, mix the powdered sugar, almond milk and salt and add it to the saucepan. Fold together the ingredients until well combined. Place the doughy mixture on a flat surface and let cool to a warm temperature for up to 30 minutes. Use hands to knead until completely smooth. Divide the mixture into 3 equal-sized pieces. Add a few drops of both the red and yellow food coloring to one piece of the dough and use clean hands to knead the piece of dough until it is evenly orange all over. On another piece of dough add a few drops of the yellow food coloring. Knead until even in color. Leave the third piece of dough white. Next, roll each piece into long ropes, equal in length and width. Push them together so that they create one long, striped rope. Use a knife to cut triangles from the dough, making sure to get all the colors on each cut piece. 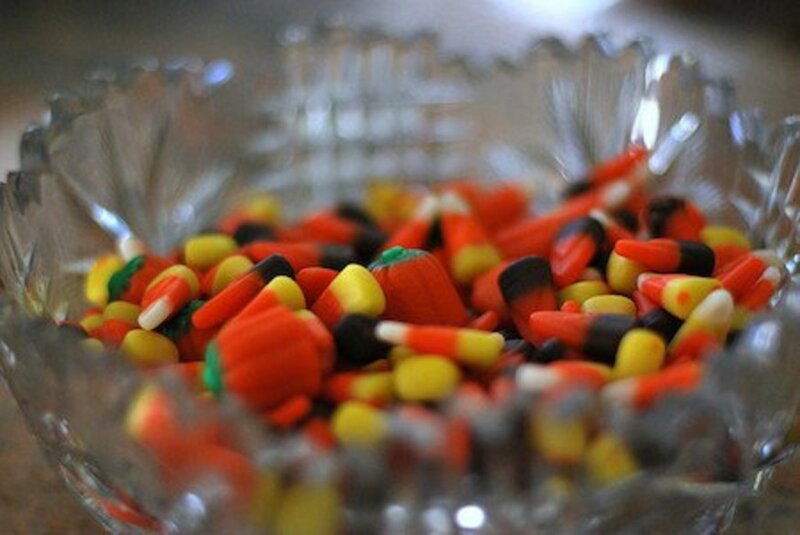 Divide the candy corn into small plastic bags to hand out to trick-or-treaters. 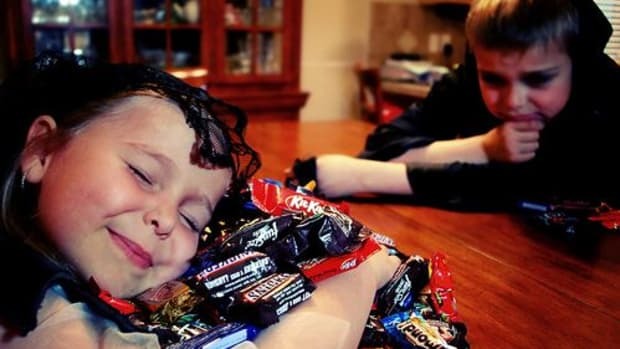 Choice of add-ins: dried fruit, nuts, sea salt, chocolate pieces, etc. Make popcorn according to package instructions. Spread popcorn out on a baking dish. In a saucepan melt the nut butter with the agave nectar and stir until evenly combined and warm. 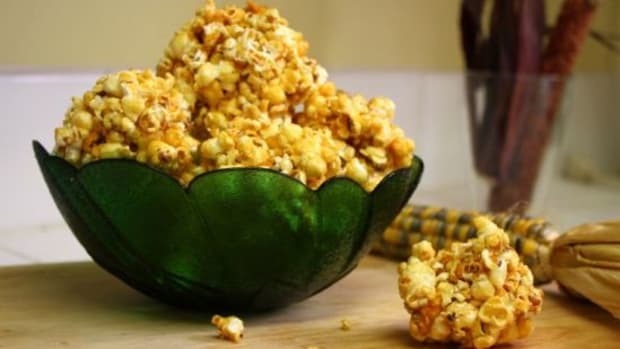 Drizzle the nut and agave mixture over the popcorn evenly. Add all desired add-ins. Grab a handful size of the mixture and shape into a ball. 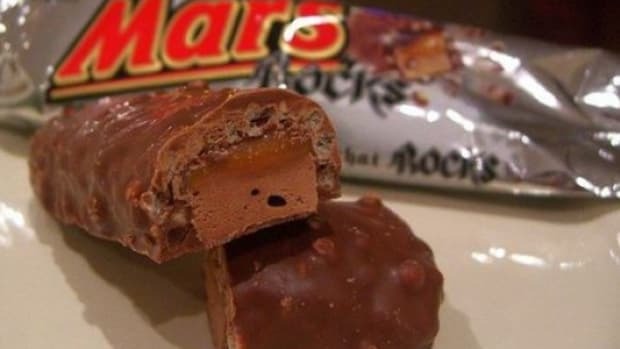 Place into a plastic bag and seal. Repeat with the rest of the mixture. In a small saucepan, add the coconut butter, maple syrup and cocoa powder. Stir until smooth. Remove from heat. In a small bowl mix together the filling ingredients until evenly combined. Line 6 muffin tins with paper baking cups. 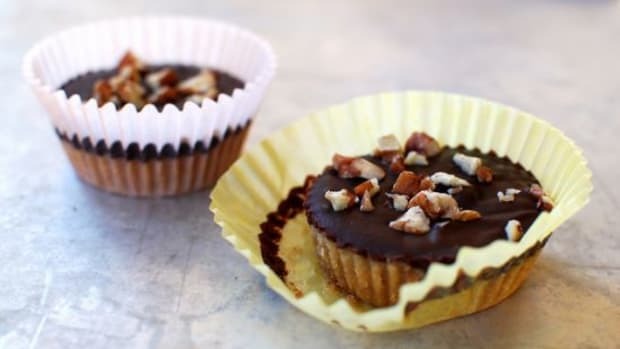 Place about a teaspoon-sized dollop of the chocolate mixture on the bottom of each one. Top each in the center with about ½ teaspoon of the nut mixture. Next, top each with another teaspoon of the chocolate mixture to completely cover the filling. Place in the fridge to harden. Serve in plastic baggies.